With over 60 years experience in interstate transport, we understand the need to care for your freight and ensure its urgency. Abletts Transport is a family owned and operated company which prides itself on taking care of its customers and its employees at a personal level. 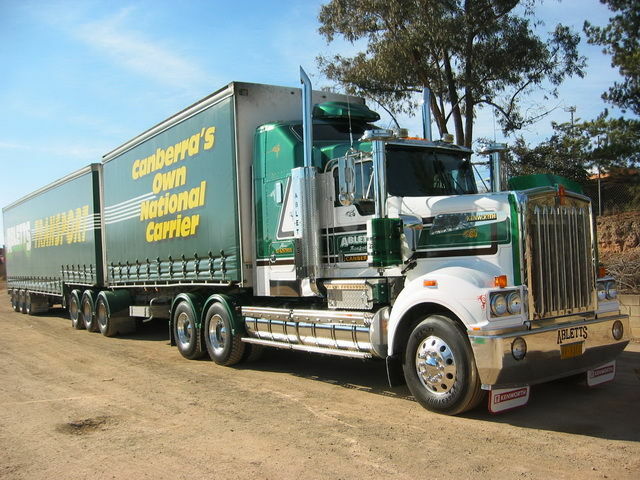 Arthur Ablett began his trucking business in the country Victorian town of Drouin in 1954. He purchased a Leyland Comet to cart timber from Bairnsdale, in Gippsland Victoria, into Melbourne. In 1957 Arthur moved the family to Bairnsdale where the growth of the fleet began.